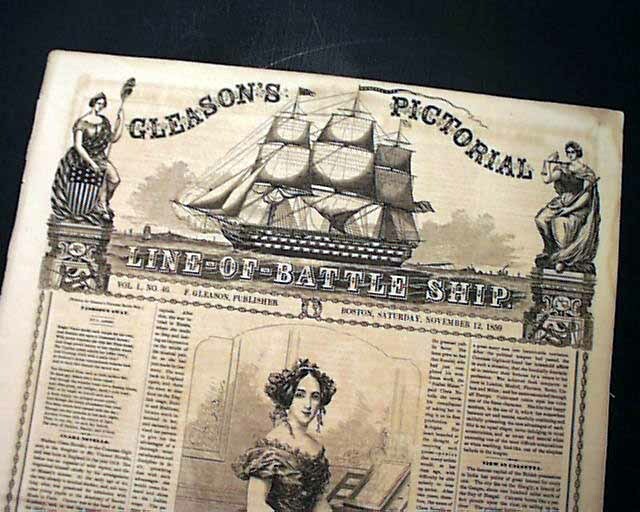 GLEASON'S PICTORIAL LINE-OF-BATTLE SHIP, Boston, Nov. 12, 1859 This title has one of the more beautiful & ornate mastheads of the 19th century, plus each page is bordered with an anchor & chain devise (see). 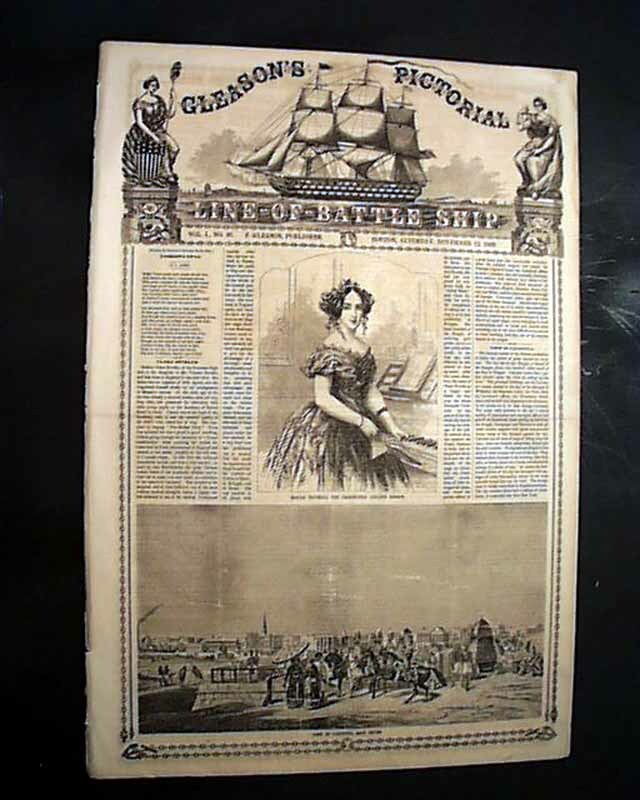 The front page has prints of: "Madam Novello, the Celebrated English Singer" and a: "View In Calcutta, East Indies" with related articles. 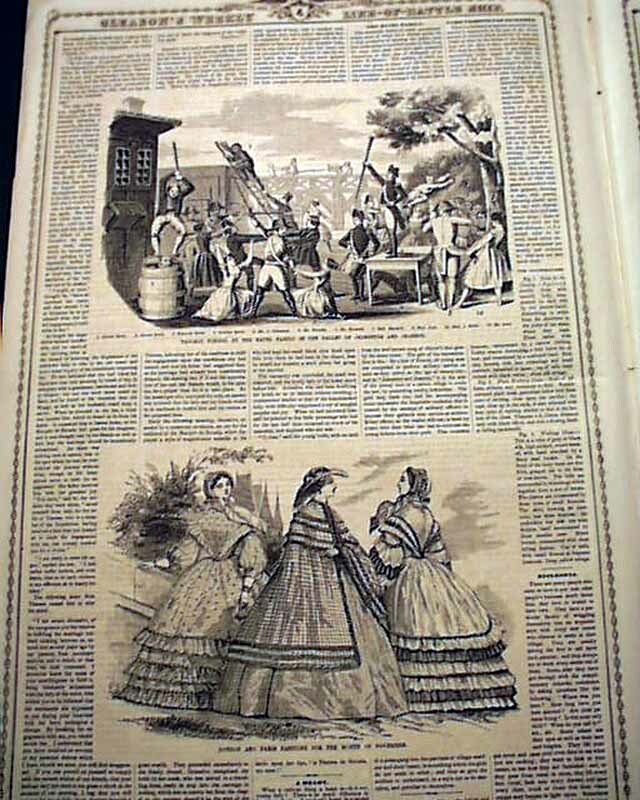 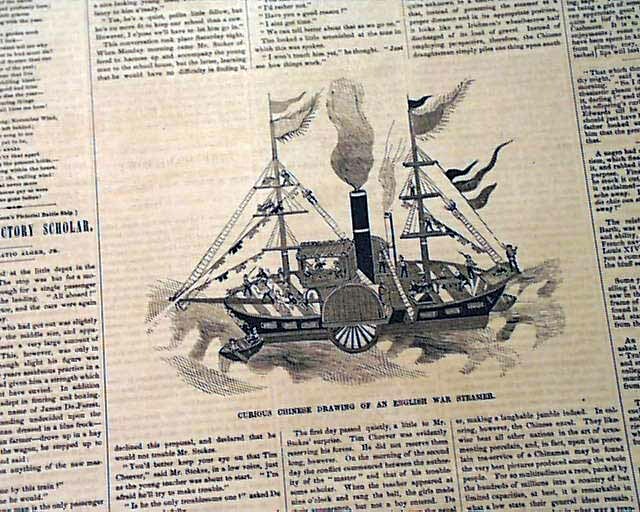 The back page has a: "Curious Chinese Drawing of An English War Steamer".